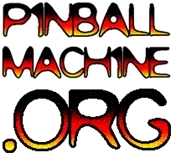 Welcome to the Pacific Pinball League! Wednesday nights. Show up any time before 7 PM. View the schedule here. The Pacific Pinball League is a fun, competitive league for everyone. All skill levels are welcome, even first-timers. We explain all the rules so don’t worry if you’ve never done anything like this before. Just come ready to have a good time. Special pricing: League membership is free with admission to the Pacific Pinball Museum. The Pacific Pinball Museum has special league pricing of $10 for all League members for the duration of the season (both league nights and any other night, except special events). You also get a 10% discount card for museum gift shop merchandise. Regular PPM Annual Pass Holders are always free. Where: The Pacific Pinball Museum, 1510 Webster Street, Alameda. Public Transportation: From Oakland, take the 51A bus to Webster and Santa Clara. From SF, take BART to 12th Street and then take the 51A bus, or you can take the O bus from SF, which picks up in the Embarcadero area of downtown. When: Every Wednesday from January 16 – March 20. Attend a minimum of three of 10 regular weeks to qualify for Finals on March 27. Entry: FREE with Admission, and admission is discounted($10)! How to Join: Just show up on any league night before 7pm. Who: The league is open to all ages and skill levels, even first-timers. We’ll show you the basics and even some advanced skills! How’s It Work? : Each league night players compete head-to-head or in groups in Match Play, Pin Golf or another format. League points for the night go to your season total. Finals are seeded based on season performance. Everyone who qualifies has a change to win. Players who attend at least 6 league nights will earn an extra chance in the Finals!